You are here: Home / Great Deals / Buffalo Wild Wings: Possible FREE Wings! Buffalo Wild Wings: Possible FREE Wings! 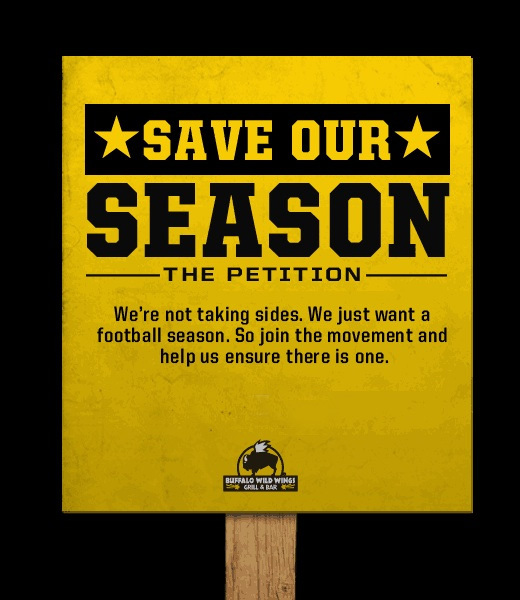 Buffalo Wild Wings has announced that if the NFL lockout ends on or before July 20, they’ll celebrate by giving away six FREE wings to everyone in America who signs its “Save our Season” petition on Facebook. Simply ‘like’ the Buffalo Wild Wings Facebook page for your chance to score free wings! So any sports fans out there have any idea what the chance of this happening is? Check out the rest of the Restaurant Deals for even more savings! YUM.. 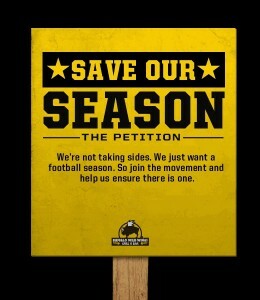 I HOPE THEY SIGN SO I CAN GET FREE WINGS.